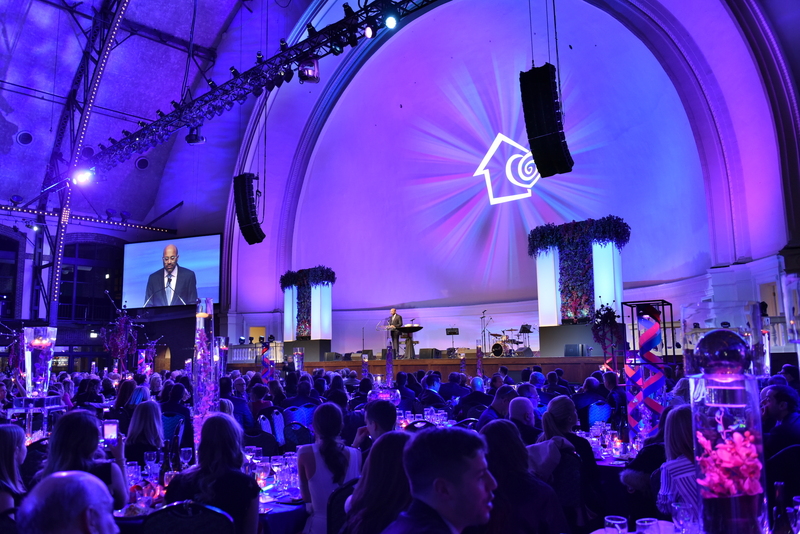 The housewares industry came together to raise $1.8 million during the 2019 Housewares Cares Charity Gala presented by the Housewares Charity Foundation (HCF) on Monday, March 4. 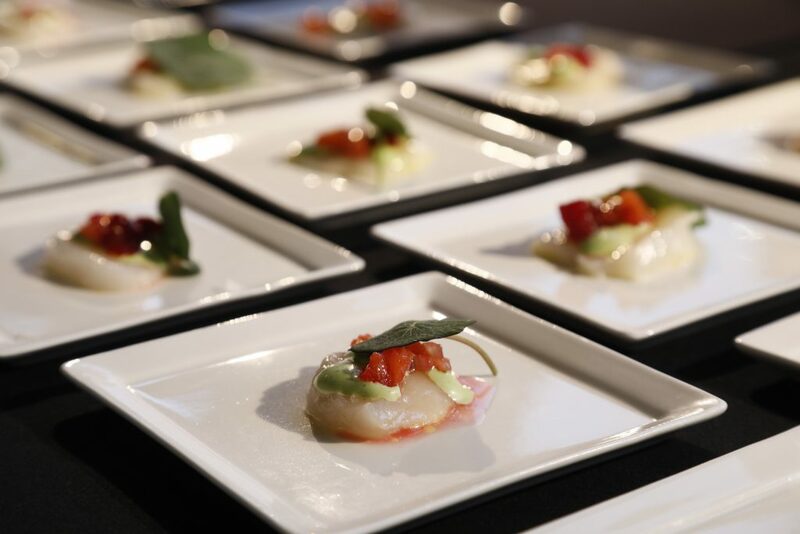 Proceeds from the event, held at Chicago’s Navy Pier, benefited the Breast Cancer Research Foundation (BCRF), the HCF’s legacy charity, and the James Beard Foundation, the gala’s partner. Since the first gala in 1998, HCF has raised more than $50 million and has been credited with donating more than $29 million to BCRF. 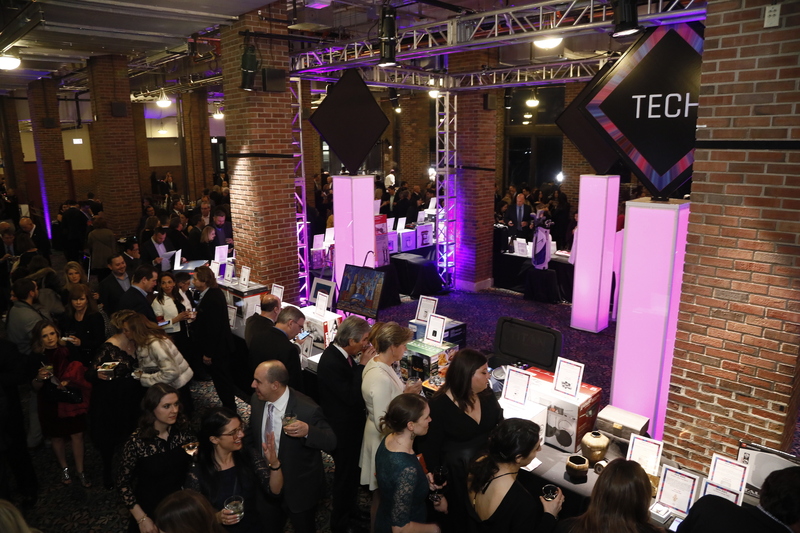 Held annually in conjunction with the International Home + Housewares Show, this year’s gala honored Wayfair co-founders Niraj Shah and Steve Conine with the Humanitarian of the Year Award; Ulta Beauty CEO Mary Dillon with the Legacy Humanitarian Award; and Libbey Chairman & CEO William A. Foley with the Lifetime Achievement Award. The philosophy and mission of the nonprofit HCF is, in the spirit of goodwill, to raise funds annually for designated charities and help unite and promote the philanthropic image of the housewares industry. Honorees are selected for their humanitarian support and exceptional leadership. Tasting stations at the cocktail reception. 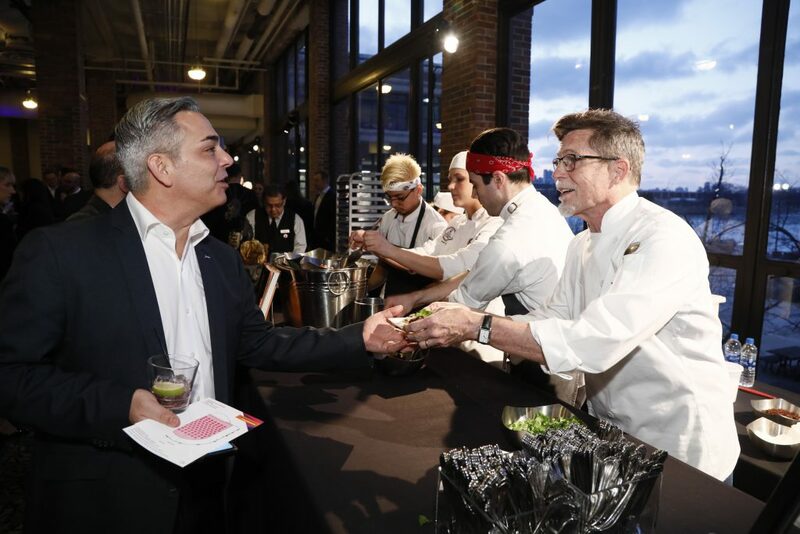 The event, which was co-chaired by Phil Brandl, former president/CEO of the International Housewares Association, and Peter Cameron of Farberware/Acuity Management, offered nearly 1,000 attendees a cocktail reception featuring eight tasting stations hosted by James Beard Foundation chefs including Rick Bayless, Abe Conlon, Joe Flamm, Meg Galus, Andrea Reusing, Sarah Rinkavage, Paul Virant and Greg Wade. Dinner featured a three-course meal designed by Tony Mantuano, chef/partner, Spiaggia Restaurant. The evening, emceed by television personality Sissy Biggers, included silent and live auctions, where guests bid on an extraordinary collection of relaxing get-aways, dinners and unparalleled culinary experiences. Offerings included a dinner prepared by Chef Daniel Boulud at the home of Leonard Lauder; trips to The Reef by Cuisinart in Anguilla, British West Indies; a week in Provence, France; tickets to the James Beard Awards in Chicago and dinner at the James Beard House in New York; a private in-home dinner by Abe Conlon of Fat Rice in Chicago; and two dinners in the Boston home of Wayfair’s Niraj Shah, with both Shah and Steve Conine, and prepared by Chef Ming Tsai for the first dinner and Chef Tony Mantuano for the second dinner. The Cache for a Cause auction featured gift packages with 28 products valued at more than $8,000. 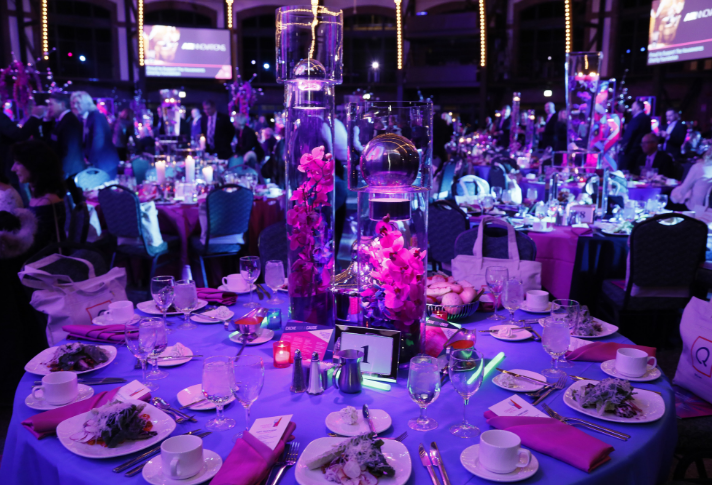 The 2020 Housewares Cares gala will be held March 16, 2020, at Navy Pier. For more information about the Housewares Charity Foundation, its honorees and its charities, please visit Housewares.org/show/charity.